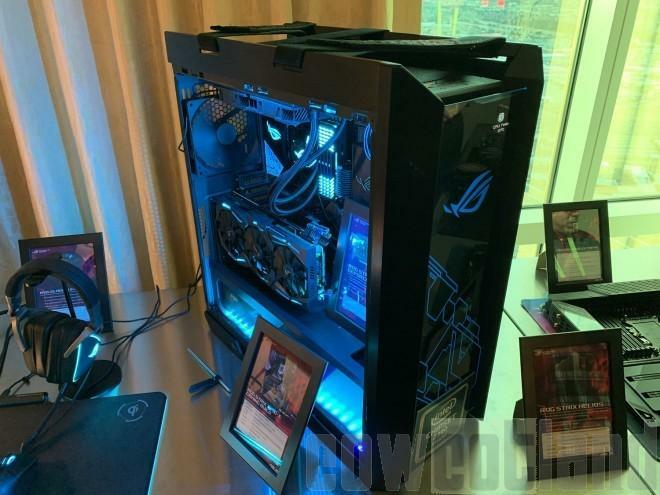 ASUS teases the ROG Strix Helios gaming chassis at the recently concluded CES 2019 convention at Las Vegas, Nevada. The ROG Strix Helios is a mid-tower ATX gaming chassis complete with all the necessary features any Republic of Gamers enthusiast would want in a desktop chassis such as premium brushed aluminium finish, tempered glass panels, addressable RGB lighting, and more. The ROG Strix Helios can even have a customisable OLED display which ASUS has been lavishly adding to its latest ROG products from the ROG motherboards to the ROG RYUO coolers and ROG Thor power supplies. The ROG Strix Helios gaming chassis is a mid-tower chassis that measures 249x564x592mm (WxHxD) but supports up to an extended-ATX motherboard form factor. It can house up to three 140mm/120mm cooling fans in front as intake and up to two 120mm/140mm fans on top for exhaust. The ROG Strix Helios also offer both the standard horizontal graphics card installation and a vertical graphics card installation with the help of the PCIe riser cable that will have to be acquired separately. The ROG Strix Helios also packs a USB 3.1 Gen2 Type-C port and four USB 3.1 Gen1 Type-A ports for high-speed data transfer and connection. Lastly, the chassis comes with customisable RGB lighting powered by the ASUS Aura Sync. ROG Strix Helios is designed for those who want to create a gaming rig that will stand out in any crowd. It boasts three 4mm-thick, smoked, tempered-glass panels fitted in a refined brushed-aluminum frame, plus a stunning display of Aura RGB lighting integrated into the front panel. The LEDs are individually addressable, and can be customized with a palette of millions of colors and a range of preset effects – all easily synced with the vast Aura Sync hardware ecosystem to augment the build. ROG Strix Helios offers the option for dual vertical¹ GPU mounting in addition to the standard orientation for gamers who want additional flair. For gamers eager to haul and show off their prized build at LAN or gaming events, the case comes with stylish fabric handles that are rigorously tested to support up to 50 kg for comfortable transportation. 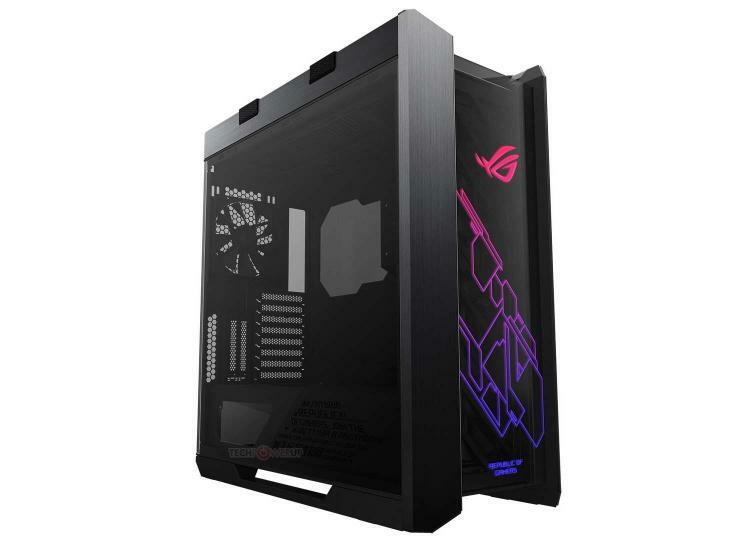 ROG Strix Helios has been thoughtfully designed with flexible covers and a comprehensive cable-management system to keep the interior tidy, clean and sharp. An adjustable multifunction cover with GPU braces cleverly hides cabling, provides sturdy support to graphics cards and allows for an SSD or ROG Aura Terminal to be mounted for display. There's also a two-piece PSU shroud with a front cut-out to enable compatibility with ROG Thor or other OLED-integrated power supplies. In the back, a translucent cable cover conceals unsightly wiring while allowing illuminations from RGB devices to shine through. Building with and maintaining a ROG Strix Helios is also made simple. Release buttons at the rear of the chassis allow builders to swing down the side panels for instant, tool-less access to the interior. The panels are bottom-hinged and will remain supported at an angle until they're ready to be completely detached. The case also comes with fan and radiator mounts, and removable filters on the top, front, and underside for all-around dust protection. The ASUS ROG Strix Helios is now available at an MSRP of $279.99 from Newegg and soon available at other leading retailers. 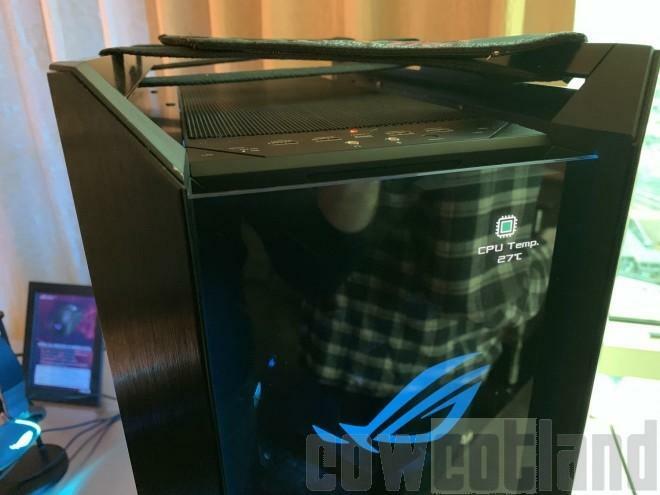 The ROG Strix Helios chassis displayed at CES 2019 was a special edition that has an additional OLED display panel embedded on the front panel. ROG is still yet to announce the official specification of the standard ROG Strix Helios chassis and if the special edition will also be made available. Learn more about the ROG Strix Helios here.